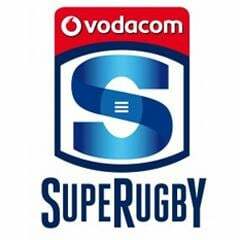 Cape Town – South African teams in Super Rugby 2015 are starting to fall behind in try-scoring terms. Between them, the country’s five franchises have notched 48 dot-downs in the first six rounds of ordinary season, leaving them some way off the New Zealand sides (60) and Australians (59). In team terms, the Brumbies head the pack with 19 tries, followed by the Crusaders (16) and then a three-way tie in third between the Hurricanes, Chiefs and Waratahs (14). It is only thereafter, in sixth, that a South African team first appears in the form of the Sharks (13), although they could not cross the whitewash in their 13-man hang-in act to pip the Chiefs after an incident-filled clash at Kings Park on Saturday marked by red cards for both captain Bismarck du Plessis and Frans Steyn. 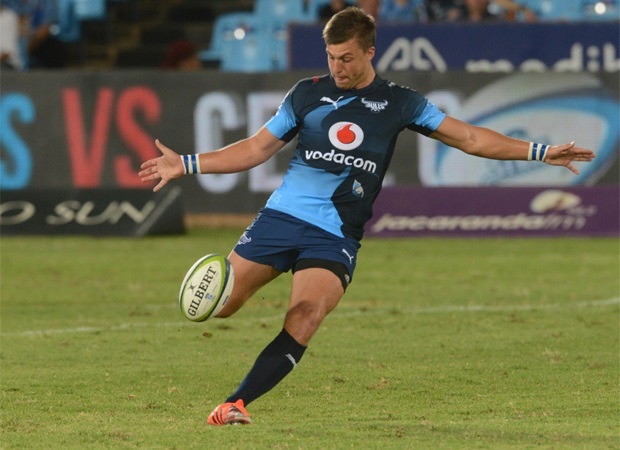 Instead the game gave Pat Lambie the opportunity to maintain his tight duel off the kicking tee with compatriot Handré Pollard of the Bulls – the former’s four penalties boosted his season tally to 90 points, just two adrift of his Bok squad-mate on 92. These two are some way ahead of the competition’s next best points-scorer, the Chiefs’ Aaron Cruden on 60, and while it is comforting that South Africa’s best two pivots are landing their penalties – and sometimes conversions – so reliably, in some ways it only highlights the fact that teams in the SA conference are struggling for creativity in try-manufacturing terms. Frankly, a listless and clumsy, blundering Bulls team were fortunate to steal their home game at the death against the moderate Force at the weekend, being outscored by three to one in tries at Loftus – their only touchdown was of the crude pushover variety from tighthead prop Marcel van der Merwe. Pollard’s 20-point haul, including six penalties, made the key difference in a 25-24 outcome. 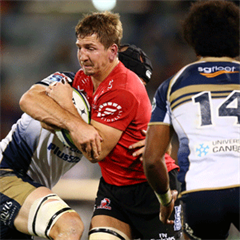 While it was true that three of the four South African sides in action at the weekend earned victories over overseas-based opponents, all three matches could just as easily have gone the other way. The Lions’ saving grace in another gutsy triumph in Melbourne – their second on tour – was notching two easy-on-the-eye tries, although once again their performance will be remembered more for the humungous work-rate on defence of the likes of Warren Whiteley and Warwick Tecklenburg. These two loose forwards are among the top five tacklers in Super Rugby after round six, with captain courageous Whiteley having moved to the front on 94. Next come the Bulls’ Lappies Labuschagne (76), followed by Tecklenburg (75), odd-man-out in the Brumbies’ Jarrad Butler (72) and then yet another South African in the Sharks’ Marcell Coetzee (69). It suggests that too many SA teams are struggling to keep the ball for long phases of play and being too stretched defensively as a result. In the “carries” category, no South African appears until Lambie, in joint-10th with Waratahs flyhalf counterpart Bernard Foley. A shaft of light is the presence of livewire Sharks scrumhalf Cobus Reinach, however, at the top of the clean breaks department alongside James Lowe (Chiefs) and Julian Savea (Hurricanes) on 11 each.